Advertising and Promotion of YOUR business is the critical reason for you to be here. 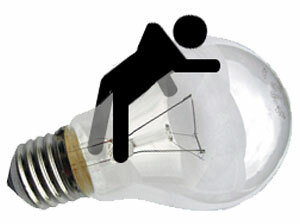 There is little time in the private sector to think and plan your promotional business around a critical social theme. It could even be risky. EXCEPT we have done for you with regard to the most important theme / issue of MORE best age 0-6 early reading skills delivered for the most at risk children in your city. We call this ERSD-RA. We are not going to sell you on a business promotion yet. We have 5 products/services for sale related to generating the NewOldMoney needed to put the private sector in position to help deliver all the children to kindergarten ready to read. This is an end result of the Federal Reserve Board of Governors defining this private sector service as Micro Monetary Policy and using its special money power to create a new deal for “urban” mom. This would not be possible to do as a private sector business except the ROI is outstanding and quick for the local business and consumer community. The results on every important level required are already demonstrated. When it comes time to sell you on a business promotion we will be supporting our request to help you focus on your customer from this section of the web site. We will put these expert thoughts http://www.usavaluescoupons.com/articles/ into play for you on a special basis. Nobody is in the same place as it relates to the return on the internet, every situation is special. But now we need to sell the created value behind these services so our most at risk children avoid the gap at rates exceeding gap avoidance in the suburbs. You should be willing to pay $25 a year to be a part of this creative fight for the NewOldMoney. This fight is being waged from the PRIVATE SECTOR for money in the private sector managed by the Board of Governors of the Federal Reserve Banks who act as the proxy for the private sector in the management of money that is all about or middle class confidence in the future. Some out of the box email communication promotion will be sold. $4-5,000 per month. We have a 4 times a year email march against the Federal Reserve Banks to free the money. $100 per year. We have a 10 times a year email march against the Federal Reserve Banks to free the money. $150 per year. The BusinessCardCoupon has a website link available that can be used for the business or a public service message. $50 per year. Ask tdw.usavalues@gmail to explain. You can pay for the services at this page on this site. https://www.usavaluesii2.com/payment/ via PayPay, just follow the directions. Each of our Representatives are prepared to explain the individual nature of the PVofPE-PK in a practical way. 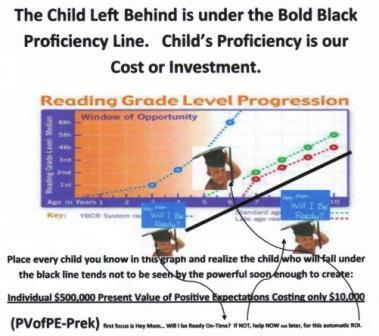 Problem is the numbers of those not really ready to read creating the gap is being caused by more readiness in the suburbs and lack of attention to the real reading outcome pre-k in the urban areas. Using Pre-k as a solution to the education and economic gap is showing very little progress in the last 15 years because our urban early learning structures do not want to work with the importance of the reading outcomes. And, don’t have to work with it because they are generally public sector expected to deliver only good results, not best results. The private sector will make this happen for the school district and the community given access to the NewOldMoney that will flow from several reserves in the private sector. Validated progress will be observed within 3 years from its start within then present cost of measurement. All of this is in the context of doing first things first. The private sector knows quality and continuous improvement in that context. It also knows this is not a theme or issue that is going away. It might as well put the pressure on the FED to do the NewOldMoney in the context of Micro Monetary Policy because the situation is pay now or more later. “Urban” mom has an impossible deal to raise the future economic base of our nation, the private sector is already seeing the costs in urban growth that drags down measured GDP growth. On August 11, 2016 the major stock value indexes hit highs together. The first time in 17 years. There is not a soul person of financial substance who will deny that a critical part of that growth is due directly to the FED and its monetary policy. The private sector taking care of the financial growth of the private sector. 3-4 trillion dollars has been created by the FED that has not yet been used (absorbed) by the economy standing ready at the primary bond makers (22 companies). Needless to say urban mom needs to be worked into a new deal for her age 0-6 children that would be fair. This is one deal that would be fair.